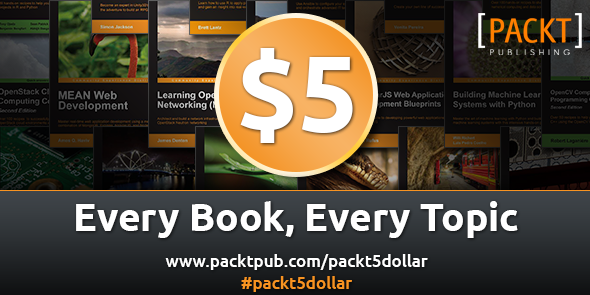 Packt Publishing renewed its festive offer making every eBook and video available for just 5 dollar until 6 January 2015. Their catalog contains several books regarding Dynamics CRM, in particular the new publication of MVP Nicolae Tarla: Microsoft Dynamics CRM Customization Essentials (Use a no-code approach to create powerful business solutions using Dynamics CRM 2015). Another interesting eBook is Microsoft Dynamics CRM 2011 Reporting (Everything you need to know to work with reports in Dynamics CRM 2011) from MVP Damian Sinay, the content is still valid for CRM 2013 and CRM 2015. From 1 January 2015 Pearson VUE will be the only provider for MCP exams replacing Prometric, a partnership announced by Microsoft some months ago. Prometric website still provides the list of current MCP exams and surprisingly it contains an unknown Dynamics CRM certification: MB2-708 Microsoft Dynamics CRM Installation. The Microsoft Learning page for Dynamics Certifications (https://www.microsoft.com/learning/en-us/dynamics-certification.aspx) doesn't contain this exam and strangely the exam title doesn't indicate the CRM version (2013 or 2015). The CRM SDK DLLs can easily connect to different CRM versions, for example the CRM 2013 DLLs can be used also with CRM 2011/2015 environments. Depending the version some messages (like the ExecuteMultipleRequest) are not available, the following function returns an enumerator with the current CRM version. The introduction of browser compatibility in Dynamics CRM (launched with UR12 for CRM 2011) was a big step for everybody using the platform, sadly this important change wasn't painless. Dynamics CRM developers struggle everyday between top-notch requirements and the limits of supported customizations, an endless fight without a definitive winner. From some months a new variable must be considered: the browser used and its version. I already wrote about the argument (The browser compatibility cake is a lie) but new issues surfaced with the latest version of Google Chrome (V39) and a small recap regarding the browser compatibility can be useful. Fact number 1: The supported browsers are Internet Explorer, Firefox, Google Chrome, Safari. Not all OS are supported, for example Firefox and Google Chrome are not supported on Mac OSX, so it's necessary to check the compatibility lists. Fact number 2: Google Chrome is the browser that caused most of the issues. It's started with V37 with the removal of the showModalDialog method (fix link) and continued in V38 with the partial introduction of ES6 support (details link). V39 has a window.close error connected to the showModalDialog function (Chromium issue), where the popups (like a solution import) don't close by themselves after they completed the job. Fact number 3: showModalDialog will work only until 30 April 2015. The EnableDeprecatedWebPlatformFeatures setting states clearly that is until the end of next April. Less than 5 months for this temporary solution. Maybe the HTML5 tag <dialog> will be used? Fact number 4: Google doesn't provide an archive of Google Chrome releases. You want to install Google Chrome V36? You need to find the offline setup somewhere else. Remember that installing an older browser version is not suggested (security reasons). Personally I don't like the phrase "Internet Explorer is the preferred browser for Dynamics CRM" that sometimes I read in some forums, because Microsoft invested time and resources to provide the browser compatibility for Dynamics CRM, efforts vanished for the most part by an "aggressive" update policy of Google Chrome. Keep informed your users about the browser compatibility status and guide them in the choice of the browser used for Dynamics CRM.